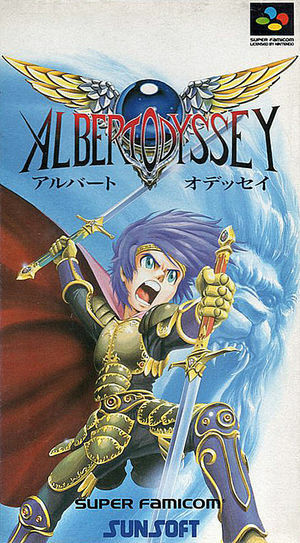 In Albert Odyssey (アルバートオデッセイ Arubaato Odessei) players assume the role of Albert, the young heroic swordsman who lives in a fantasy world filled with monsters and mythical creatures. While much of the world remains in relative peace following a great war many years before, a military faction led by the dark magician Globus has emerged to conquer the newly pacified nations and expand their empire. With the help of Albert's friends as well as hired mercenaries, the player must travel the world and eventually confront Golbus and his forces to prevent another large-scale conflict. The graph below charts the compatibility with Albert Odyssey since Dolphin's 2.0 release, listing revisions only where a compatibility change occurred. This page was last edited on 3 October 2017, at 01:26.